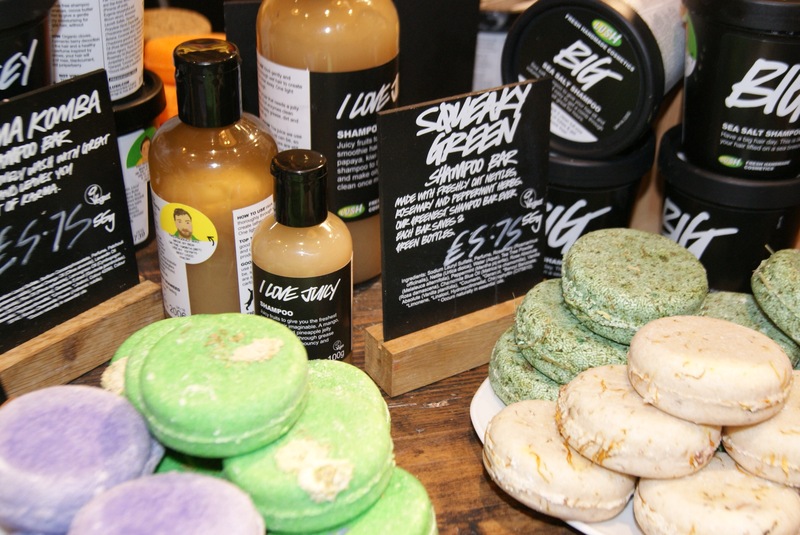 When I think of Lush, I think of bath bombs, body creams and powerful scents. 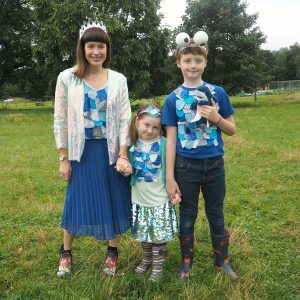 I’ve long been a fan of their products, my favourites being Flying Fox shower gel, Honey I Washed the Kids soap and Karma Cream, which my husband used to buy for me (before he was my husband!). 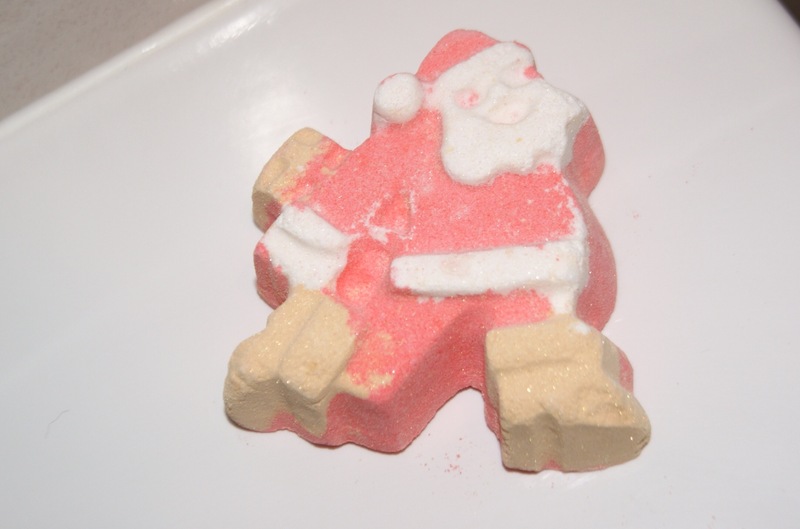 These days, I’m more often in there to buy bath bombs for our five-year-old, who’s a huge fan of the bright-coloured fizzers, especially the ones shaped like robots, pumpkins or the cute new Dashing Santas. 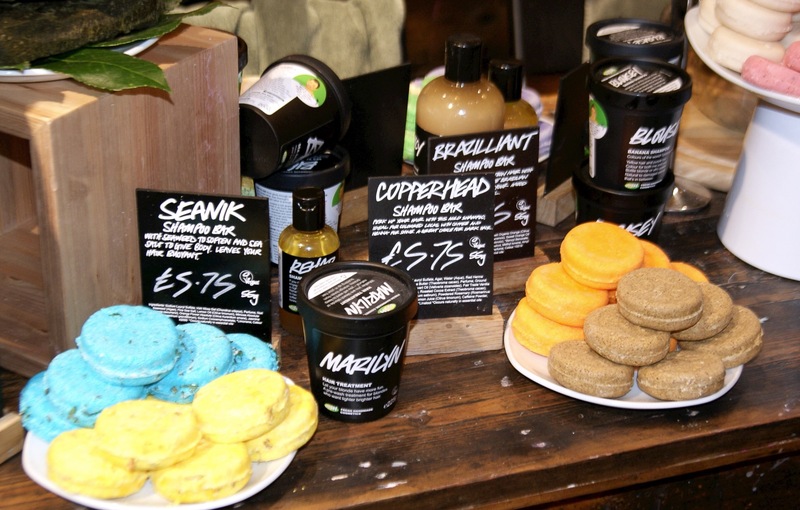 What I didn’t know was that they did hair products, until I was asked along to their Liverpool store last week to have a look at the range and find out which would work best for me. My hair is pretty thick and naturally wavy, and any touch of humidity sends it puffing up to gigantic proportions. It’s much drier than it used to be too, even more so after having kids, and it’s coloured so needs a bit of extra TLC. 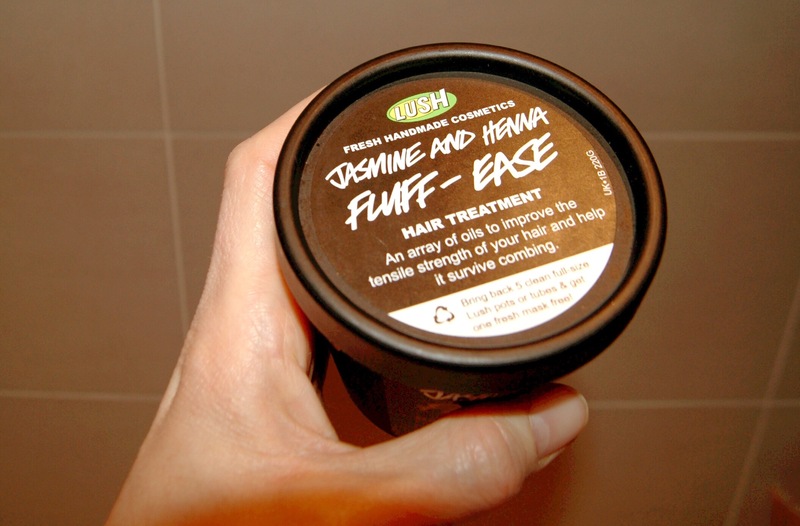 The lovely staff at Lush – all, maybe not coincidentally, with amazing hair – recommended I try a treatment called Jasmine and Henna Fluff-Ease. I love the name, as my hair does tend to go fluffy so they hit the nail on the head there! Apparently the natural ingredients of olive, soya and Brazil oils would moisturise my hair, weighing it down so it would be shiny and in much better condition than before. The pot is pretty big, but I was urged to try putting the entire thing on my hair when it was dry, leaving it for 20 minutes, then washing and conditioning as normal. The next night, on it went, and although I thought half the pot drenched my locks entirely, I decided to go with it and use the whole thing. The smell was amazing, even prompting my husband to say it smelt like patchouli, which – wait for it – he used to wear when he was a teenager! This fact cracks me up. Anyway, it smelt pretty good, and even better the scent lingered on my hair for a few days afterwards. Just for the feel-good factor alone I’d say it was worth it, but the product did actually work. My hair felt in much better condition and looked far healthier than before. My favourite bit about the product is the way it leaves lasting condition and shine. Apparently, if you use a treatment every week for six weeks, the effects will last for six months! 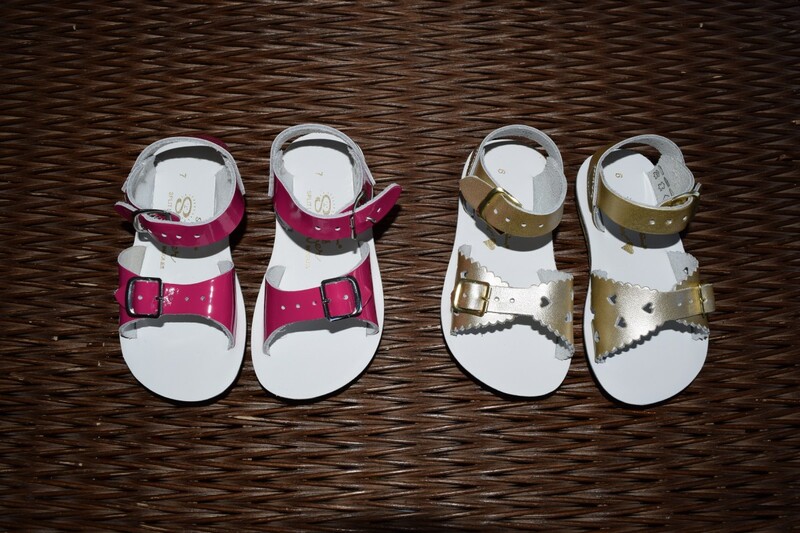 This really impressed me, as I suppose it appealed to the lazy girl side of me that only remembers to pamper herself every now and again. I’ll be going back for more. 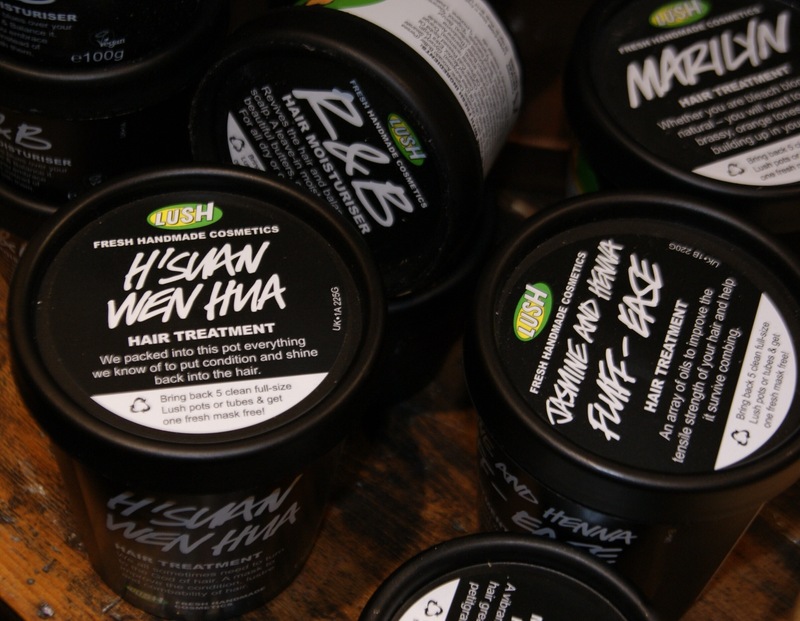 I haven’t been paid for this review but Lush did very kindly give me a hair treatment to try at home. I would never write good things about a product if I didn’t believe them to be 100% true.